Carrying a mortgage is customary for most homeowners. It’s rare indeed when someone can actually pay cash for a house. It’s generally hard enough to come up with the money for a down payment. In fact, it’s not all that rare for people to buy a home with very little cash up front – but when a lender allows someone to take out a mortgage with little money down, they need to protect themselves. That where private mortgage insurance (PMI) comes in. When you buy a home it is a routine matter to put a certain percentage of the price down and pay the rest on the installment plan – by making regular, predetermined payments. If you put less than 20 percent down, a lender will often require you to take out an insurance policy that will protect them if you’re unable to meet your financial obligations. That policy is called private mortgage insurance. Although you more than likely took out a mortgage with good intentions, sometimes things happen that you don’t anticipate and can’t prevent. Losing your job suddenly or an expensive medical emergency popping up could make it impossible for you to pay your mortgage in a timely manner. If the situation persists you may have to default on the loan. Having a private mortgage insurance policy in effect protects the lender. When a lending institution gives someone a loan for a home they generally require 20 percent of the property’s value as a down payment. The reason they do that is if you are unable to continue making payments, or simply fail to do so, they will be forced to foreclose. Foreclosure costs money. Paying for real estate agent fees, any property damage, or attorney costs add up. The lender knows that if you have 20 percent equity in the property you’ll be more likely to do all you can to try and make your payments. They also know it’s hard to come up with 20 percent for a down payment, so they may be willing to offer you a loan at a lower down payment percentage, sometimes as little as 3 percent to 5 percent down. When that happens, they know you don’t have as much of your money invested, so there may be less incentive to try and make your payments. In order to protect themselves, lenders will usually require you to take out a private mortgage insurance policy. When they’re protected in this manner they know they stand a better chance of getting paid what is owed to them. The price of the PMI is usually included in your monthly mortgage payment. 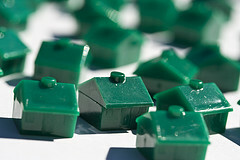 Private mortgage insurance benefits both the borrower and the lender. The lender is assured that they won’t lose any money, and the borrower is allowed to become a homeowner with significantly less cash outlay. A private mortgage insurance policy allows people to get into a home much quicker, and without a huge down payment. Without the private mortgage policy in effect most lenders wouldn’t be willing to take the chance that you’d default on the loan and they’d be stuck with property. After you’ve been in your home for awhile, and have made your payments in full and on time, the equity in your home will grow. As it reaches the point where you owe less than 80 percent of the property’s value private mortgage insurance may no longer be necessary. After all, the reason for the policy in the first place was to protect the lender’s interests. Now that you’ve paid the loan down you feel it’s time to drop the private mortgage insurance. The Homeowner’s Protection Act of 1998 (HPA) allows you to do this. Another issue to think about is Contents Insurance to protect the valuables in your home. In fact, it becomes automatic after you’ve reached the point where you owe less than 78 percent of the value – but only if you have a good credit history, meaning your payments have been made regularly, and on time. There cannot be a second mortgage for this to happen. The IRS Publication 963 states that residents of the United States can take a tax deduction for private mortgage insurance payments made to various government agencies or a private insurer as of the 2010 tax year. Check with the IRS or your accountant for details.